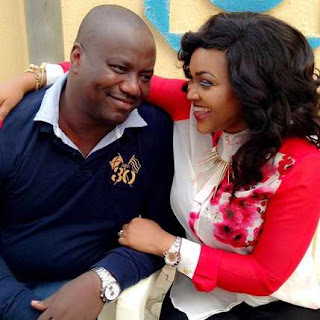 Mercy aigbe's hubby, is still in kirikiri prisons after granted bail for some weeks now. An insider told jmedia.com.ng that he's still there reason being that the two persons who had the requirement to stand in for him are no where to be found. A source also told us that some of the persons who agreed to stand in for him refused to show up after hearing tongue- tighed shocking revelations of the real ordeal and has decided to let him face the consequences of his actions alone. Stay with us as we bring in more updates on this pressing issue.